One of the few processes that we do not do in house is chrome refinishing. Chrome refinishing involves a lot chemicals and plating processes in order to achieve a high quality finished project which makes it non-feasible to do in house so it must be out sourced. This means we need to send our chrome Corvette parts out of the shop to someone else and trust that we will get them all back. To help ensure that we get every thing back, we have developed a cataloging system that ensures the chrome shop has itemized list of every thing that we gave them. 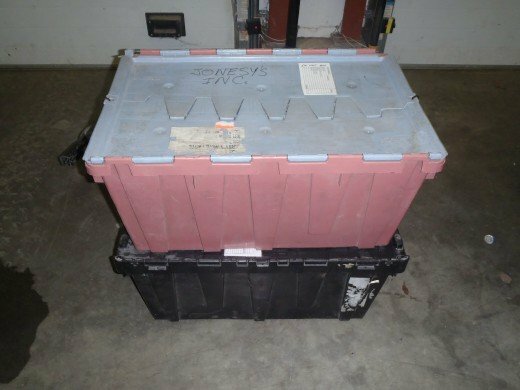 We also take photos of every individual part that was sent to them so that in the event something is lost, we can show them exactly what to look for. Additionally in our Corvette chrome refinishing process we have another hurdle to deal with. The Corvettes of yester-years came with two qualities of chroming – standard show style chrome and flash chrome. 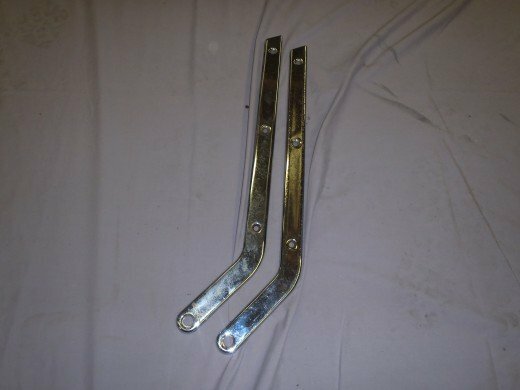 The show chrome was used on bumpers, door handles, and any other items that were highly visible and needed to look nice. Flash chrome was used on less visible items that were in places like the engine compartment on items that didn’t need a perfect finish, but helps the general ascetic. We separated all our chrome into the two categories and prepped them to go to the chrome shop. Here is an example of the flash chrome on the car. 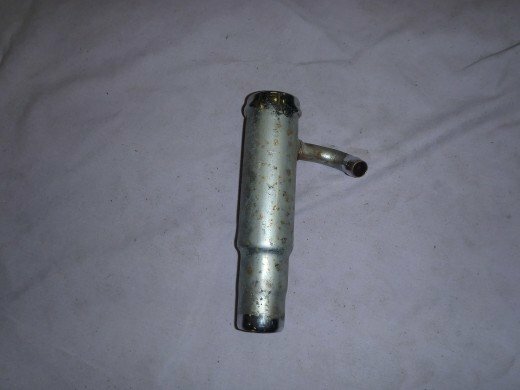 This is the oil fill tube. The chrome on it is old and worn out, but even when it was new it was not perfect quality. 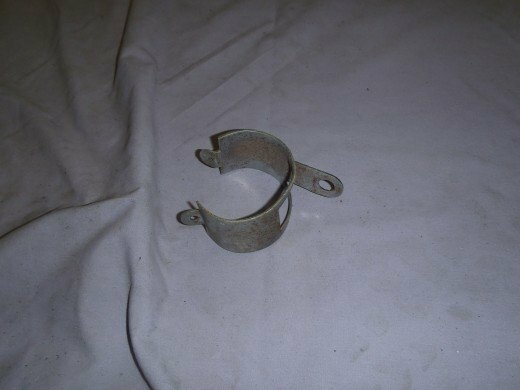 Here is another example of a flash chrome part, this is the fuel filter clamp. 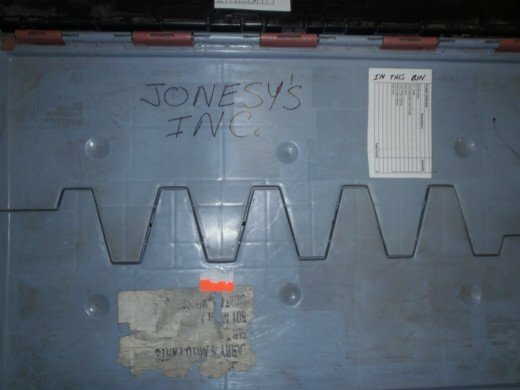 These are also examples of the photos we take before sending parts out of the shop so we always have a visual record of what left the shop. Here is an example of a standard chrome piece. These are the “hockey sticks” that act as the seat pivots. They are highly visible in the car so they needed to look nice. 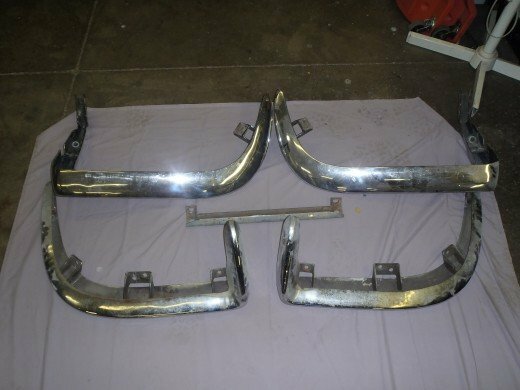 Here are the bumpers that will need to be re-chromed. After getting a photo archive put together of all our various chrome parts we make a parts list. 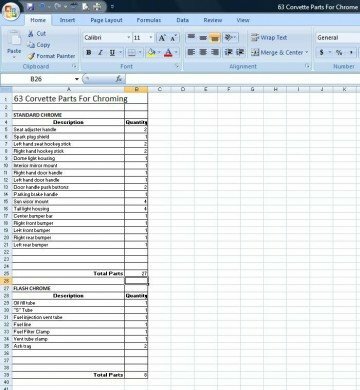 Using a spreadsheet, we formulate an itemized list of all the parts that will be going out. We then crate up all the small parts. This bin is the “flash chrome” bin. It has an itemized list taped to it that tells exactly what the bin contains. This bin contains all the standard chrome parts, minus the large pieces. It also has it’s own itemized list of what is in the bin. 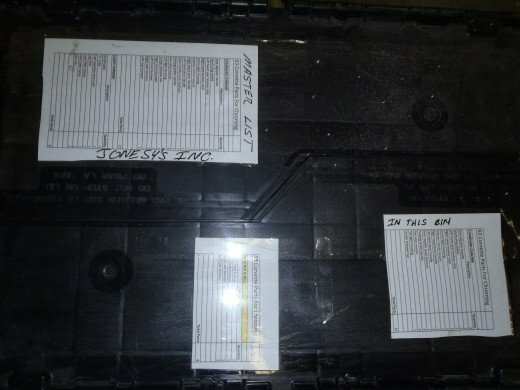 Additionally this bin has a list of parts that are not in bins and a master list of all the parts going out. Here are the two crates ready to go to the chrome shop. If a chrome shop see’s that you are this organized on your parts and you provide them with itemized list, they are unlikely to loose parts. After we receive our chrome back you’ll get to see what the finished product looks like.